I for one am very excited to have Glass in The Bronx. No I have not ran out of things to blog about. And I am not talking about the kind of glass that is a hard and brittle substance which we often use to create beverage holders. I am talking about Project Glass by Google. Having Glass in The Bronx is quite cool, or should I say, Hip! I see it as another building block for a Bronx Tech Hub. 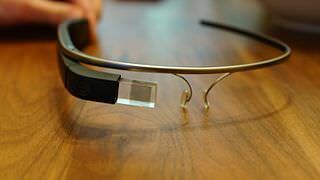 “Google Glass is a wearable computer with an optical head-mounted display” (Wikipedia). In plain English, Glass appears to be normal eyeglasses without lenses, which allow you to see data displayed in front of you as if you were looking at a transparent computer screen right in front of you. As if that wasn’t cool enough, Glass is voice controlled, so once you push a button to activate Glass, your words are its command. So what can it do? With it you can take pictures, video, share what you see live (talk about seeing through someone else’s eyes), get directions, write messages, browse information, translate and more. Want to get one? Yea, me too! Unfortunately this seemingly awesome device is not yet for sale to consumers but there is one here in The Bronx. A short while back Google held a contest for their Glass Explorer program looking for “bold, creative individuals”. Out of thousands of entries all over one Bronxite, Ruth Papazian (@BronxHipster), was selected to obtain the highly coveted Glass. Her focus, “#ifIhadglass people would be able to see The Bronx through my eyes”. Since late summer she has embarked on the quest of highlighting the great aspects of The Bronx, with a particular look at her own neighborhood in Morris Park. From food to arts and education, this @BronxHipster is providing a view of The Bronx as a whole Through Google Glass. To see what she sees and join Bronx Hipster in her exploration of the wonderful hidden treasures of The Bronx. You can follow along on any or all of your favorite social media outlets, Tumblr, Pinterest Twitter, Google+ YouTube and Facebook. I know I will!